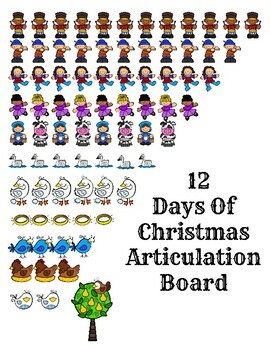 12 Days of Christmas Articulation - 4 ways to play! 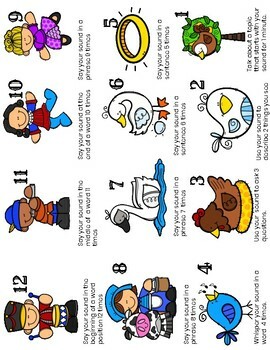 Use the articulation board (included in color and b/w) for say-and-cover or roll-and-color activities to get 78 trials! Use the 2 spinners and articulation mat to practice a target sound 12 different ways! Or, combine the spinners and articulation board for a spin-and-cover game.